WordBite:-What Is The Mystery Behind Antim Sanskar In Hinduism? What Is The Mystery Behind Antim Sanskar In Hinduism? What Is The Mystery Behind Antim Sanskar In Hinduism? 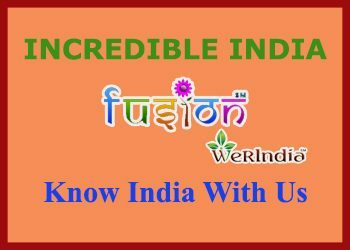 India is a country of traditions. Right from the birth of a newborn, following its marriage and till the death, the life of an individual crosses through various beliefs. Funeral, which is the concluding chapter of one's life, it also diversifies from culture to culture. Like in Hinduism the bodies are actually burned while in Muslim culture the dead are buried. The only common belief among all traditions is that cremation is important to carry the dead towards the next world. But the question is why, why are there so many different religious beliefs concerning cremation of the deceased? And why Hinduism believes only in burning the dead? The process called Antim Sanskar. Literally meaning 'the last sacrifice', Antim Sanskar has its own significance. Hindu text Baudhayana Pitrmedha-Sufras say, "It is well-known that through the samskaras after the birth one conquers this earth; through the samskara after the death the heaven." There is something related to Mahabharata. According to Speaking Tree, once, Lord Yamraj asks "What is the greatest wonder?" Yudhisthir replies, "Day after day countless people die. Yet the living wishes to live forever." For every Individual, death is the biggest enigma, but human refuse the accept the reality. It is believed that 'somehow' every individual keeps living, they enter some another world or rise in heaven or hell. In Hinduism, people believe in both death and reincarnation. Keep reading to know what happens when a body is burned. The soul is indestructible, it is just the body that dies. It is believed that a soul never dies, it starts its new journey. It is the body that departs which symbolizes death. 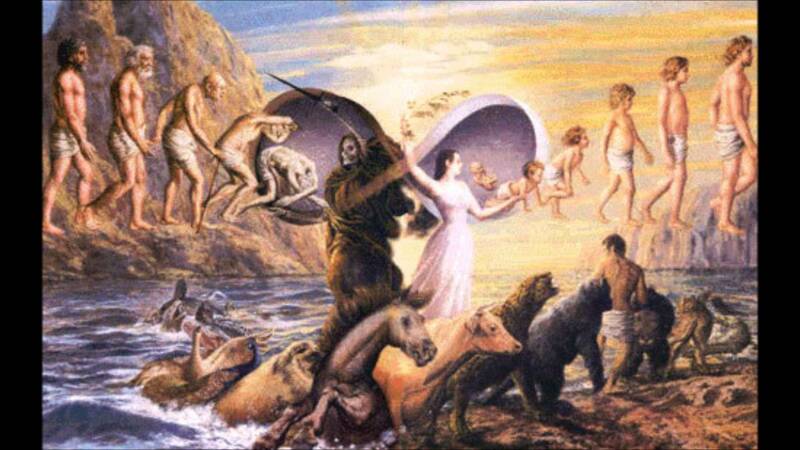 After the death, the soul reincarnates in other life forms, passing through the same process of birth and further growth. Fire is Holy for Hindus. Fire burns away everything. According to the sources, by burning the body, the physical presence of the soul wipes away from the earth and continues its journey. Ever wondered how fire helps the soul? It's the way to purify the body. Surrendering the body to the Holy Fire is a way to purify the body and lead it for its better and brighter life. The spirit releases through fire. After the death, the soul starts its new journey and possesses its new form. 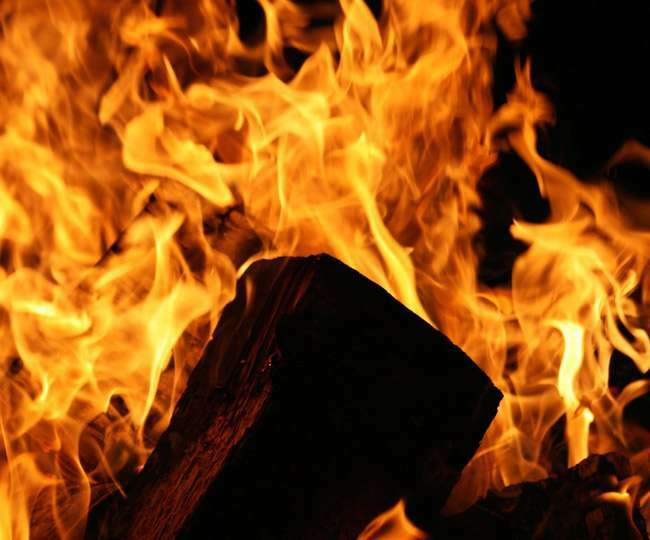 Burning the body is also preferred because fire encourages the soul to detach from the body and pass on rather than hound around the loved ones. The logic behind the ritual. It is said that burning the body is to ensure that no murder has been committed. According to Speaking Tree, when a body dies of old age or a due to disease, burning the body is a way to preventing it from being a source of disease. When a body is burned, the body returns to the elements it is made of. According to the sources, the human body is made up of five Tattvas, i.e., earth, fire, water, air, and sky. When a body is burned, the body returns into these elements. Burned in open, the body of the human blends with earth, water, fire, air, and sky. 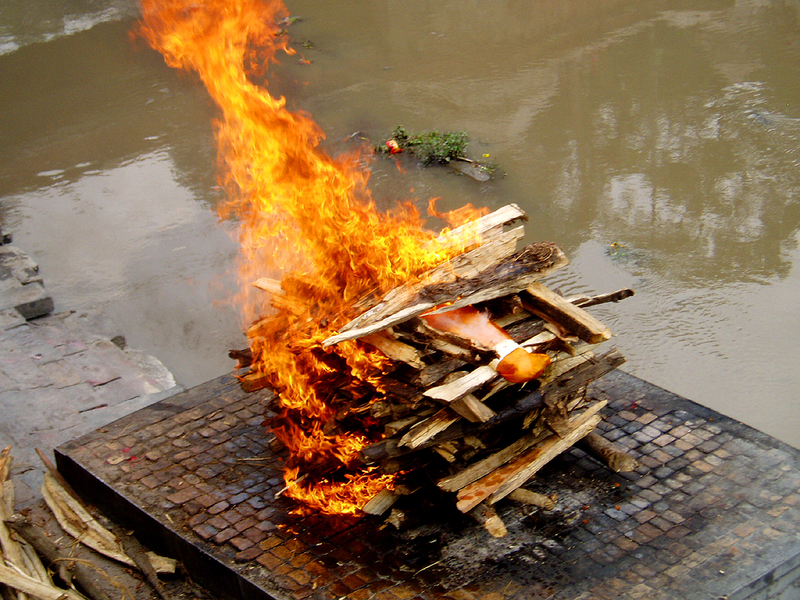 After burning the body, the ashes are respectfully collected and poured into the waters. According to the sources, till 13 days after the Antima Sanskar, Pind Daan is practiced. It is believed that after paying the tribute, the dead soul attains Moksha. Dead bodies are departed near rivers. It is believed that it is a final wish of a Hindu to die and be cremated along the banks of the holy water as it is the holiest way to the departed soul.